Over the past months I've been compiling little bits of work and recipes from all over the world, and realized something vitally important: I'm missing ingredients. Remember the Kimchi I made? Traditionally kimchi is made with Korean pepper flakes (Gochugaru), which I could not for the life of me find anywhere this country (for as far as I looked). Substituting this with different pepper flakes or powder was easy enough. But sometimes substituting just doesn't work. So I decided to make the missing ingredients myself. Why not? Sweetened condensed milk vs. evaporated milk. Since neither of these products are common here, I've always had trouble figuring out what they were. 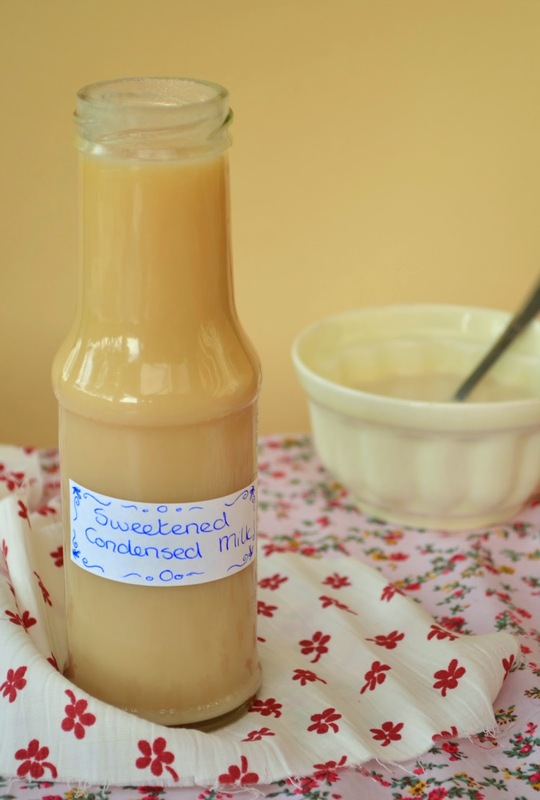 Now, after some research and tasting, I can safely tell you that sweetened condensed milk is sweet, thick and has a very full almost buttery flavour. Evaporated milk is just concentrated milk, so it's much runnier and much less sweet than sweetened condensed milk. Because of the difference in flavour and texture you can't substitute one with the other! For Evaporated milk roughly 60% of the water in the milk has been evaporated to make a more concentrated version of milk. You can turn evaporated milk into milk again by adding water. (This is not entirely true as the milk is processed in some complex way to extend the shelf-life. Bacteria, but then also some of the nutritional value, are lost when treating the milk.) Evaporated milk often contains added vitamins such as vitamin D. Sweetened condensed milk is roughly the same thing, but contains 40-45% sugar. The sugar extends the shelf-life of the milk without the need for any of the extra processing. It contains more fat and milk solids than evaporated milk. To make things more complicated again: both are used in desserts and other dishes. Only evaporated milk will sometimes be used in savoury dishes such as mashed potatoes. Since I have no clue how to make evaporated milk (yet! ), I'll be focusing on a few recipes for sweetened condensed milk. 1. Pour the milk and sugar into a pan and bring to a boil. Stir occasionally until all the sugar is dissolved. 2. Lower the heat to keep just a little bit of a rolling boil going on: the water in the milk is supposed to evaporate, but you don't want the milk to burn. Lower the heat even further if necessary, this doesn't effect the process but it will take longer. Overall, this might still take an hour or so. 3. Once the milk has reduced to half of what it was (it will be slightly thicker now), add the butter. 4. Allow the butter to melt, then take the pan off the heat. 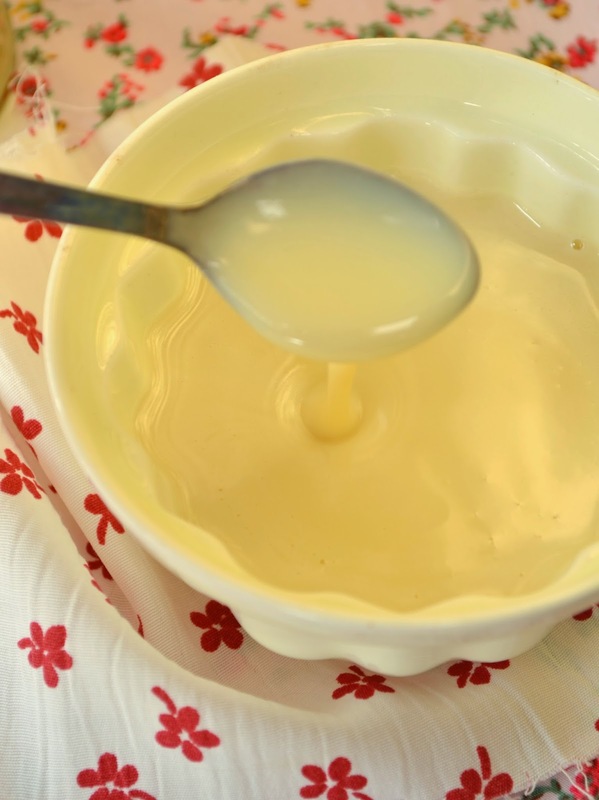 Stir the vanilla essence into the sweetened condensed milk. 5. Pour into a jar, allow to cool and store in the fridge. If sealed properly, you should be able to keep this in a cool dark place for very long. * Note that the colour of the vanilla essence will greatly influence the colour of your sweetened condensed milk. I used a dark vanilla essence, which results in a darker cream colour. Vanilla flavours make things sweeter. We associate the flavour of vanilla with sweets, so adding a bit of vanilla flavour will make something taste sweeter without adding extra sugar. Vanilla is still in no way a substitute for sugar though (just in case you get the wrong idea). Canned sweetened condensed milk rarely, if ever, has vanilla added. In these recipes, it's really just to round the flavour (it goes together so well!) and to increase that feeling of 'sweet milk'. Obviously, that's still a whole lot of work if you're looking for a quick substitute in a recipe. Especially when you need just a few tablespoons you won't be looking for an hours work and lots of leftovers. So here's a recipe that works for when you're looking for just the substitute. You might want to adjust the amount of butter and sugar depending on the use. 1. Mix the powdered milk and sugar together. 2. Heat the butter with the milk in the microwave until the butter has melted. 3. Mix everything together. Especially for larger quantities a blender might really help. 4. Store in the fridge until needed. * Any sort of sugar or sweetener will work here. Personally, I love the extra depth of flavour that cane sugar gives. Cakes - Substitute with the same quantity in milk, add a bit extra sugar if desired. You wont notice it's missing. Drinks - A combination of milk, sugar and butter works, but it gives a different flavour and consistency. The butter might float on top of the drink, so omitting this altogether isn't the worst idea. Wauw, I feel like I've made an 'Oven Info' post without any actual intentions in that direction. It's a nice feeling though: a bit of information on a product, along with some practical recipes on how to make it yourself. It's also a whole lot of text, so let's end it quickly! Ruuuunnn!!! I hope you found these recipes useful and you'll be able to enjoy new recipes using these home-made ingredients/substitutions! 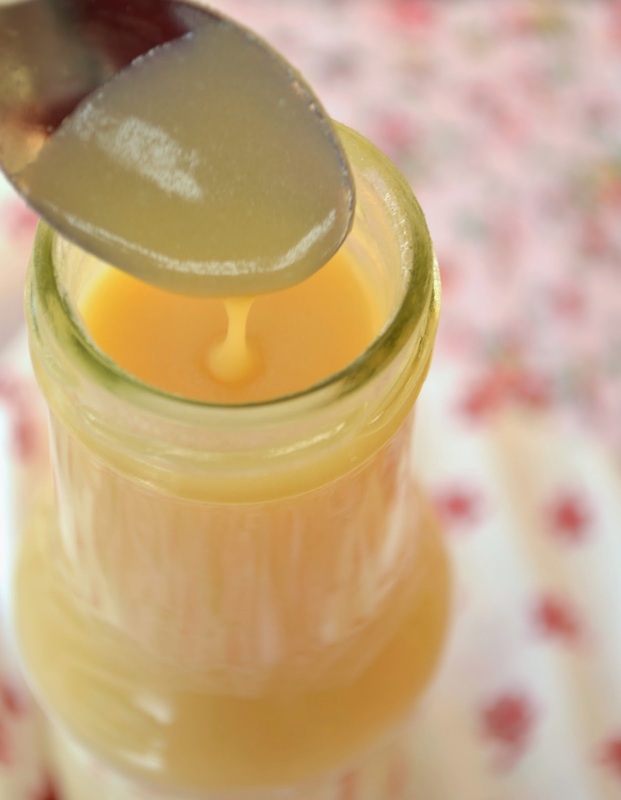 is your receipe for condensed milk less sweet than the canned variety? I am looking for a version that is not as sweet and if it is this one it would be great! Hmm, good question. The substitute-recipe is slightly sweeter but can be adjusted very easily. The actual recipe for sweetened condensed milk should be about the same as the store-bought versions in terms of sweetness. Personally I think it is less sweet and more 'milky'. In theory, you could also stop the boiling-down process (step 2) earlier. In which case you will have a less sweet but also slightly less thick condensed milk.. If it's for icecream, perhaps evaporated milk is an option? That way you can add any sweetener yourself and you have full control over it. I hope that helps :) Let me know if it works out or if you have any more questions!